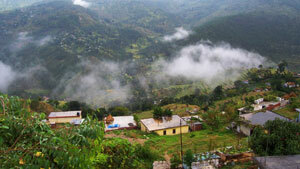 Uttrakhand - the land of Gods is a state located in the northern India and is a region of outstanding natural beauty. It marvels in its high Himalayan ranges and glaciers (towards the northern part of the state), while the lower reaches are densely forested. The state is divided into two divisions, Garhwal and Kumaon. Uttarakhand has a great diversity of flora and fauna and because of its Himalayan ecosystem, it is a habitat for many animals (including bharal, snow leopards, leopards and tigers), plants, and rare herbs. Evergreen oaks, rhododendrons, and conifers predominate in the hills. 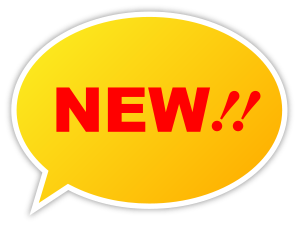 Shorea robusta (sal), silk cotton tree (Bombax ciliata). Two of India's largest rivers, the Ganges and the Yamuna, originate in the glaciers of Uttarakhand. 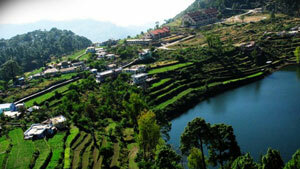 Uttarakhand has many tourist spots due to its location in the Himalayas. There are many ancient temples, forest reserves, national parks, hill stations, and mountain peaks that draw large number of tourists. 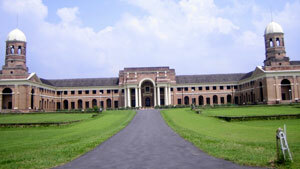 Dehradun One of the oldest towns in India, Dehradun is set at the foot hills of Himalayas. This is the city, from where most tourists start their journey into the more enthralling and beautiful hill stations of the Himalayan range. 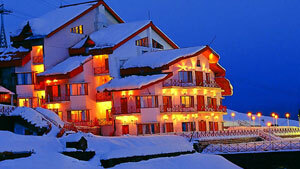 Auli uli is a beautiful hill station and adventure sport location in the Himalayan state of Uttarakhand. 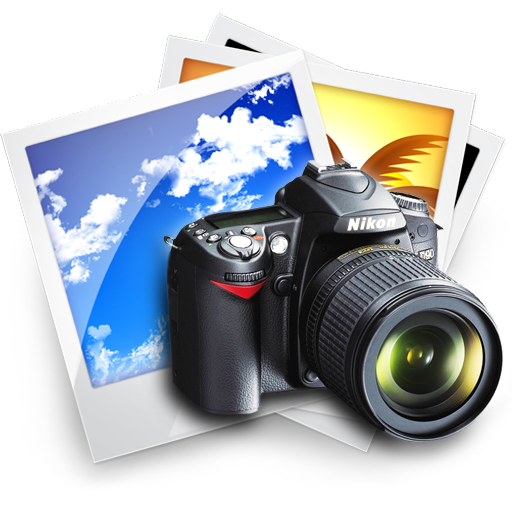 Itoffers many adventure sports and activities, with parasailing being one of them. 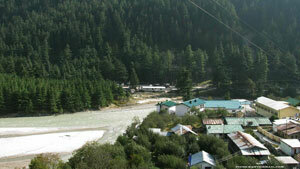 In fact Auli is one of the most popular places for parasailing and paragliding in India. Auli offers comfortable and reasonably priced options for parasailing. 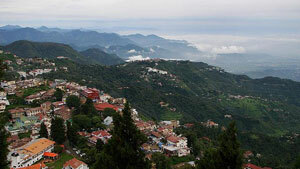 Mussoorie Mussoorie is a typical hill station and is one of the top choices for honeymoon couples. While most things about this place make it a classic hill station, yet Mussoorie has many characteristics that set it apart and make it special. Rishikesh Rishikesh is another pilgrimage town in the Dehradun apart fror Haridwar. It is situated at the confluence of the rivers Ganga and Chandrabhaga.According to a legend, it was in this sacred town that Ram undertook a penance to atone for the sin of killing the Brahmin Ravana. Haridwar Haridwar is a Hindu pilgrimage city. 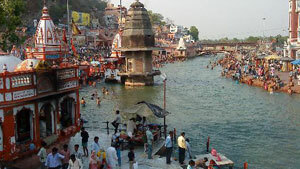 The word Haridwar is made up of two words, Hari means God and Dwar mean gate, which together means, The Gateway to God. 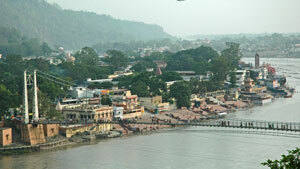 Haridwar also serves as gateway for the Char Dhams namely, Badrinath, Kedarnath, Gangotri and Yamnotri. It is one of the seven holiest places for Hindus. Nainital Situated at an altitude of 1,938 surrounded by mountains like Naina, Deopatha and Ayarpatha. One can get a splendid view from the top of the mountains bounded by snow and forming a central axis of the Himalayas. 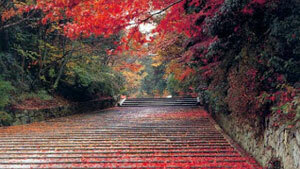 It is one the most popular hill stations in India. Almora The Bright end corner, named after Mr. Brighton, is a vantage point situated two kilometres from Almora offering panoramic view of sun rise and sunset over the snow clad peaks. Situated at the end of Almora ridge, Bright End Corner offers panoramic view of the magnificent Himalayas luring tourists with some of the best views of the horizon. Ranikhet Literally meaning Queen’s Meadow and is still joyfully untouched and unsullied, Ranikhet retains all the charms of a hill station. Sadar Bazaar, the town’s main thoroughfare - is the noisiest and most crowded place of Ranikhet, which houses a lot of shops selling local handicrafts. Uttarkashi Situated at a distance of 145 km from Rishikesh and at an elevation of 1158 m on the bank of river Bhagirathi, this picturesque town acquires importance because of very significant pilgrimage centres: Gangotri and Yamunotri. The name of the town reflects its similarity to and location, as north of) the city of Kashi (Varanasi).